Nick Jr App is the destination for preschool age kids and parents to enjoy their favorite Nick Jr. show videos, play educational games and uncover silly surprises. I have worked with Nick Jr. Design team to create main navigation UI, initial sketches for alphabet buttons, game icons and loading animation ideas. 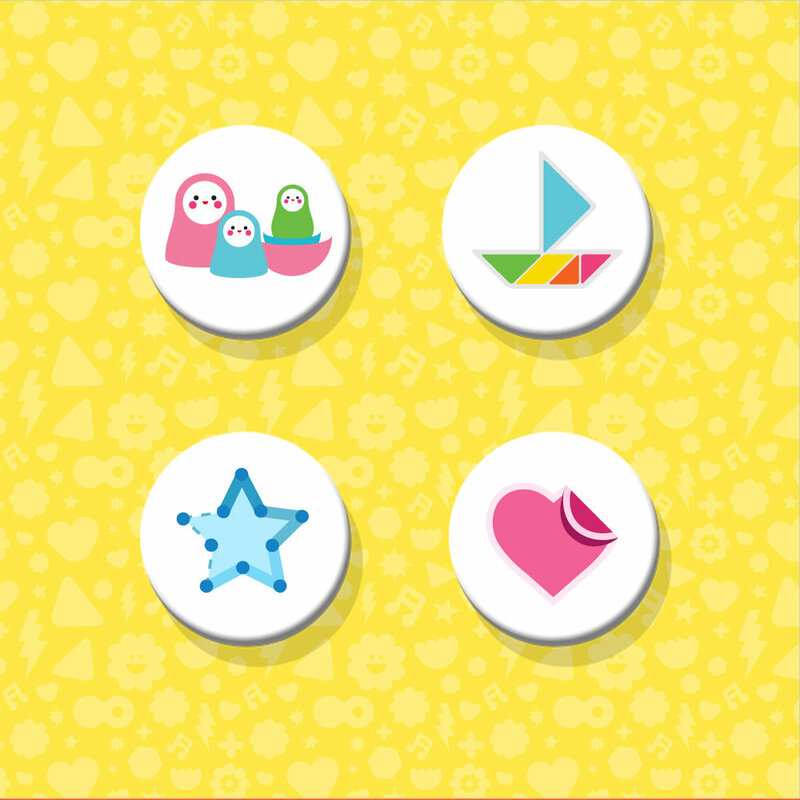 Activity button icon design - (from left) Nesting Doll game, Tangram puzzle game, Connect the dots game and Printable stickers.